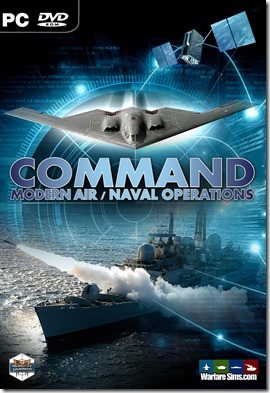 So, the free v1.15 update for Command is now available to both Steam & Matrix users. The release notes are currently available here. 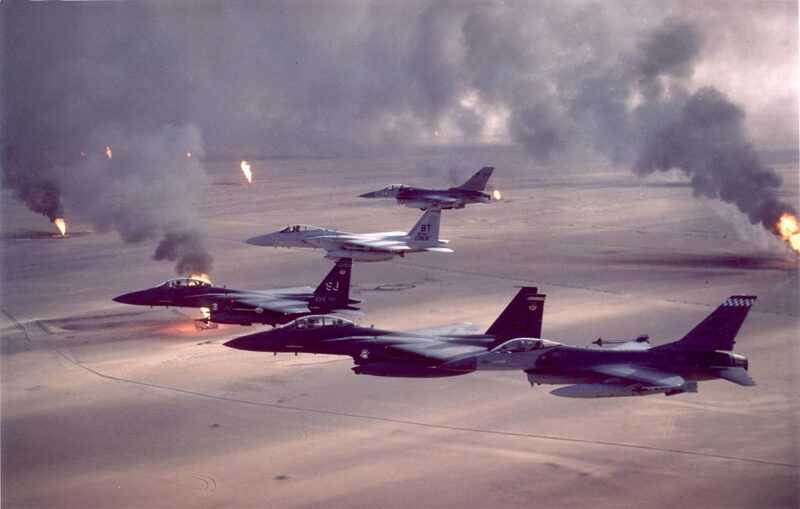 The Desert Storm DLC is also currently in production and will be released very soon. Personal persistent map profile. You asked for it, we explained to you why it’s generally a bad idea, you understood and insisted, so we are giving you the rope to hang yourselves with once more demonstrating our customer-oriented approach. It is optional and disabled by default, so you actively have to enable it in order to use it and love it (or more likely, hate it). Dynamic ORBAT window: This is a genuinely good idea, and a bit overdue. This makes the ORBAT window more useful as a “live tally” of friendly forces, and also very handy for quickly jumping around a large theater of operations by selecting the desired unit. The “Magazines” and “Weapons” window received massive speed optimizations, so they are much easier to use even with units/installations with bazillions of different weapons and magazines (looking at you, Burke DDGs and Incirlik airbase). Visual and IR sensors are no longer precise insta-spotters, except at very short ranges. This removes the overpowering effect of these sensor types and restores the advantage of ranging-capable sensors (radar, laser etc.). They are still very useful, but now they have to be combined with other sensors (or in pairs, e.g. for cross-bearing) to provide useful geolocation for subsequent engagements. No more “blind AMRAAM shots”. We covered this recently, but it is a major improvement so worth repeating. There is a good reason everyone is trying to develop CEC technologies and tactics nowadays. New doctrine setting specifically for BVR engagement behavior: This is a hidden gem, and part of the real reason that western fighters tend to have a better real-world BVR record than their Soviet/Russian/Chinese counterparts so far. Try it out and see what difference the various tactics make. 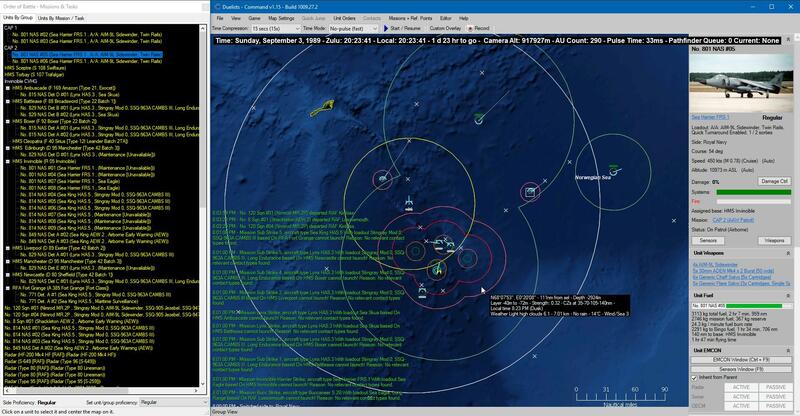 Updated terrain data for Spratlys and other areas. The submarine snorkelling noise penalty is now gradual (depending on sub throttle) instead of a binary yes/no. This can make anti-SSK hunts more challenging if the sub captains are careful. Serious sim-performance improvements on heavily-populated scenarios. Monsters like the 12K+ AU “why the hell not” setups now run significantly faster than real-time. Approximately 2 billion new Lua methods available to scenario authors; including some real teasers like updating satellite orbits, preserving damage on a unit from one scenario to the next, exporting .inst files, enumerating through contact emissions (Wild-Weasel AI! ), retrieving cargo properties and much more. Content updates & additions a-plenty; Updated databases & official scenarios, new and updated tutorials, and more. Now, onwards to the Desert Storm battleset!